Are you looking for Rowing machines under £300? Then my review round up is for you! I love using rowing machines, they’re just super convenient. Not only do they give a great workout but you can quickly fold them up and slide them under the bed or store them in a cupboard when you’re done. Perfect if you live in a small apartment or in my case have no room thanks to the mountains of kids stuff filling every spare bit of storage space. For the ultimate exercise at home – the rowing machine has always been a solid go-to option as it offers a genuine full body workout. Amazing for weight loss, boosting your stamina as well as toning and building muscles – the rowing machine is the perfect work out and makes the ideal compact substitute for a multi-gym. Rowing machines really get your heart and lungs pumping and will give you a great cardio-vascular workout that is super low impact (so they’re gentle on your joints and will not mess up your knees like jogging will). Not only great for cardio, rowing machines will build muscle mass or to tone and you can do either simply by changing the resistance and intensity of your workout. I thought I’d test and give my opinion on which I (and others) believe is the best affordable and compact rowing machines of 2018. In addition to my reviews be sure to scroll down for the Top 10 reasons why you should add a rowing machine to your work out regimen. So, which are the best rowing machines for under £300? The ideal introduction to rowing at home – this no-frills model was surprising easy to assemble and setup. One thing that struck me was how “naturalistic” it felt – it was just how I imagine rowing a boat would be and very much unlike the rope pull rowing machines you normally find in the gym. 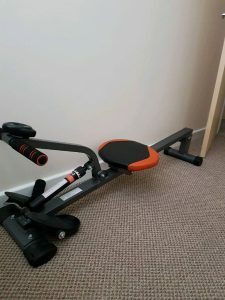 Don’t get me wrong this is a very cheap rowing machine and it shows in the build quality, however it does work and it is very compact so should easily fold up and disappear under most beds. The only criticism, besides flimsy build, is the monitor – it’s a bit unreliable and it jumps occasionally loosing track of the number of strokes you’ve done. For the price of well under £100 though you can’t really complain! Labelled as “premium” – this is one of a sea of chinese brands making waves in the UK home exercise scene (no pun intended). A definite step up in specification from the BR1000 but at only £30 more – this rowing machine uses the rope pulley method which I actually prefer over the fixed hydraulic arms used on the cheaper model. 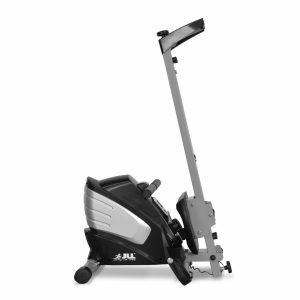 There was one major flaw with this rowing machine, it’s really unstable and the mid section flexes when you pull on it – to the point where it almost lifts the front of the machine off of the floor! It’s due to this that I cannot recommend this rower to anyone which is a shame as I really love the design and the LCD is great. This is the only rower in the budget range that uses air resistance, but it’s also the most expensive at £250! The assembly was a painful process – there’s lots to put together, which may go some way to explain the comparatively low price point for an air resistance rower, but I got there in the end. I recommend getting a matt for this rower as based on other reviews it seems to have a tendency to slip slightly when in use. This rowing machine gave good resistance when in use and it also felt very stable (despite others saying it slips). It also folds up into a smaller foot print so requires less storage space than other pulley type rowers. Read more independent reviews on the V-fit Tornado Air Rowing Machine here. The JLL R200 felt solid and very well-made. Assembly was pretty easy if you take your time and it’s a one person job. The only very minor negatives are the max resistance isn’t as difficult as other rowing machines and it’s still pretty bulky when folded up, but that’s pretty standard for this kind of compact rowing machine. Just reading the positive reviews online will give you an idea of how great this rower is, especially at it’s current price point. I actually love this rowing machine, the price has been reduced down to well under £200 on Amazon so recommend you grab a bargain. 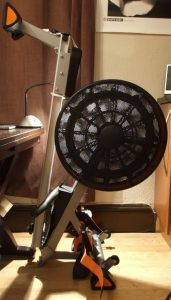 You will not find a better quality rowing machine for under £200. I hope the above helps you on your search to find the best budget rowing machines for under £300 – if you have any suggestions please leave me a comment below. Rowing machines are ideal for improving your overall health – they’re super low-impact, easy to use for all ages and make the perfect introduction to exercise. Rowing machines offer a genuine full body work out and are great for improving cardiovascular stamina and core strength and stability. Rowing machines are great for working out large muscle groups in the shoulders, upper and low back – this helps strengthen and condition large big groups like the rhomboids, trapezius and lats. This helps by improving your posture and will have a positive effect on reducing back pain. In addition to working out your back using a rowing machine will also provide a decent workout for your abs, pecs and biceps – which in combination really helps strengthen your core. You’ll also develop and tone your forearms – it’s a great exercise for strengthening your grip, which means it’s a great exercise if your into rock climbing or stability exercises and martial arts such as yoga and taekwondo. Rowing machines provide a solid lower body workout, the main leg muscles such as the quads, calves and glutes really feel the burn when on the rowing machine. Did you know lower body exercise actually burns calories at a faster rate? Which means that lower body exercise is the fastest way to lose weight – which is due to the lower body containing the largest muscles which do the most work overall. So don’t skip leg day if you want to burn calories! Strengthening your lower body will improve muscle tone and help you maintain excellent stability and flexibility. Also as it’s low impact you won’t have to worry about damaging your joints or injuring yourself. I cant stress how important this is – high impact exercise is known to lead to premature joint ageing, you risk straining your back, damaging your knees, ankles twisted and bones cracked by running, jogging and the myriad of other high impact exercises that are out there. 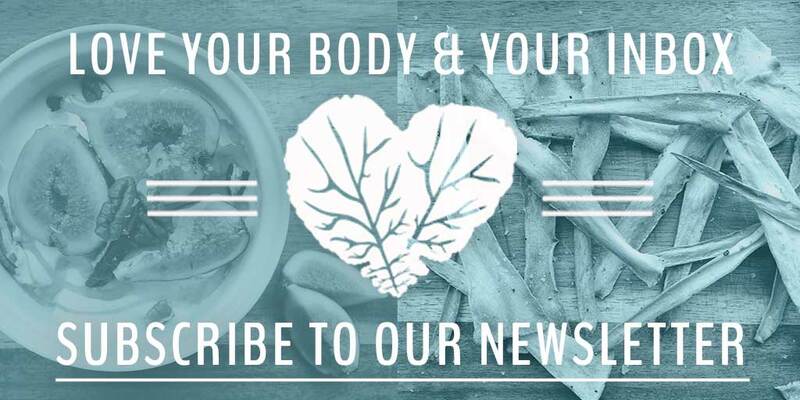 If you’re overweight or having existing joint problems the risks can outweigh the benefits. The rowing motion is natural, uses a good range of movement without over extending and puts minimal stress on the joints whilst giving a full body work out. Similar to exercise bikes seen at your local spin class. There is a risk of back strain on rowing machines but you can circumvent that risk by using the correct rowing form. Partaking in regular aerobic exercise will give you a stronger immune system, you’ll lose weight and get a marked increase in your overall fitness and stamina. Not only that you’ll sleep and feel better too! As exercising on a rowing machine uses so many muscle groups your heart will have to pump harder to feed a steady stream of oxygen to keep them all working effectively. As it’s an all-over work out that uses so many different muscle groups and offers a great aerobic exercise as well as being low impact it really does cover all the bases needed to lose weight. If you’re overweight, worried about damaging your joints or have weight related health concerns that are preventing you from exercising effectively it may well be worth taking a serious look into rowing machines. Rowing machines are also a great exercise for people with hyper-mobility disorders such as Ehlers Danlos as it’s low impact and doesn’t force you to over-extend your joints which might potentially damage them in the long run. Given what we’ve spoken about above, you’d expect a marked increase in stamina and overall fitness levels. The beauty of a rowing machine is it’s just so easy to use, regardless of your fitness levels – simply adjust the resistance levels or decrease the intensity of your workout and just increase your effort and resistance as your endurance level increases. As you’ve seen above, you can buy Rowing machines under £300 – that’s quality budget rowing machines that will offer you an effective full body work out day in day out. Of course you can easily spend several 1000’s on a top-of-the line rowing machine but it’s an easily accessible form of exercise for virtually all levels of budget. Rowing machines are deceptively easy to use, but care has to be taken to ensure you use the correct form otherwise you may not be getting the full benefit of the exercise, or at worst you may hurt yourself in the long term. I’ve included a video below that demonstrates the correct technique needed. As demonstrated above, unlike a multi gym, weights bench or exercise bike – rowing machines can be stowed away inside a cupboard or folder down and placed under the bed (if they’re the hydraulic compact rowing machines). They’re usually really quick and easy to setup and you can use them whilst watching your favourite TV show! I’ve saved the best for last – using rowing machines raises your heart rate and provides an excellent overall aerobic workout. It is known that you should be doing at least 150 minutes of medium intensity exercise per week as a minimum – rowing machines enable you to achieve that level of exercise in just 3 x 20 minute high intensity sessions (1). As the rowing machine works out almost all of the biggest muscle groups in your body your heart and lungs need to work harder to supply enough oxygen to feed this big muscles – which leads to a stronger healthier heart in the long term. Are you interested in quality sports and athletic clothing for your work out? Be sure to check out Athletic Sure Apparel’s range of leggings, 2 piece work out sets, t-shirts and tops and a range of vegan clothes and sports wear.